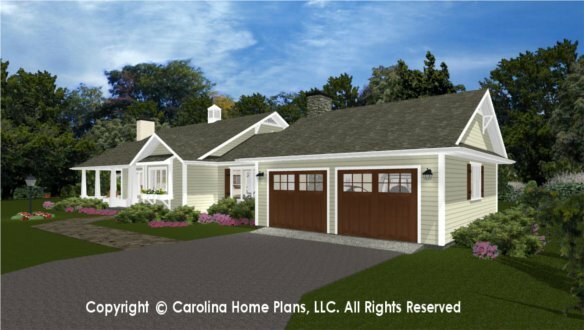 Craftsman cottage styling defines this charming 1 story, 3-bedroom, 3-bath, small house plan. 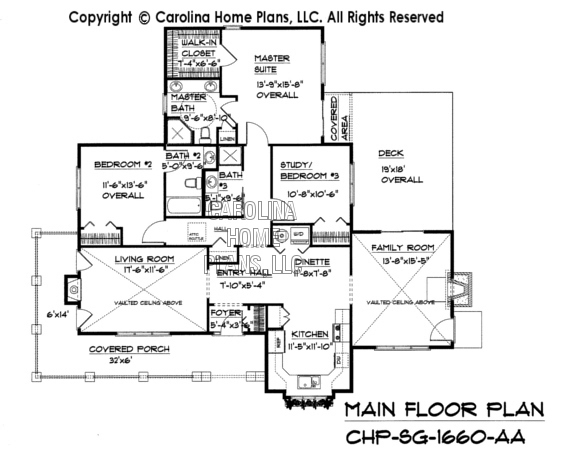 A delightful wrap-around covered porch with access off the vaulted ceiling living room, as well as a large deck accessible from the vaulted ceiling family room, make this small home floor plan very spacious and accommodating for its compact size. 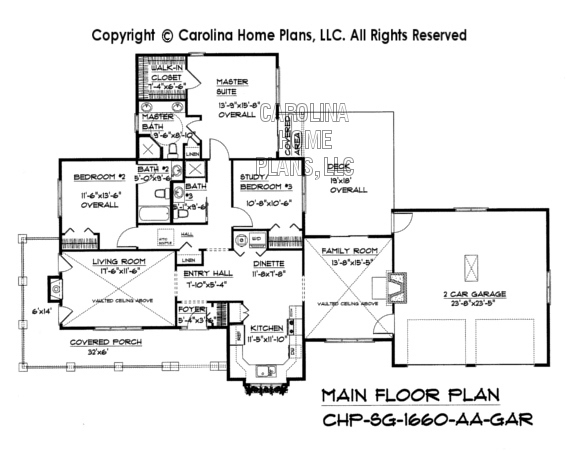 Ideal for downsizing, aging in place or small families, this efficient and economical small home plan provides good traffic flow while also maintaining areas for private, away space. 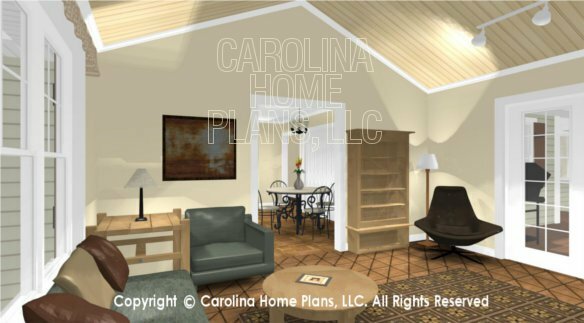 Two fireplaces, lots of windows for natural light and a main floor closet laundry round out this appealing small craftsman cottage house plan. 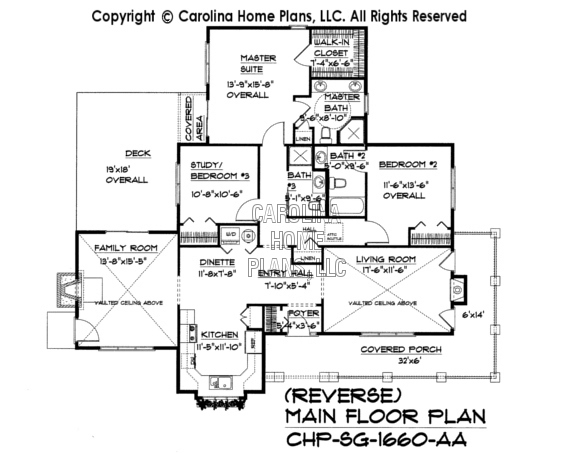 This one level small home plan is now available with a 2-car garage. 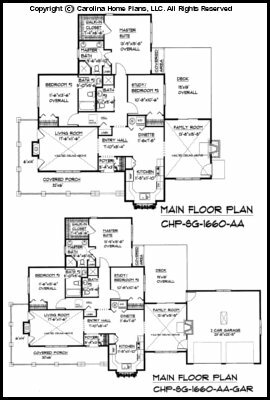 Available options and pricing: See below. 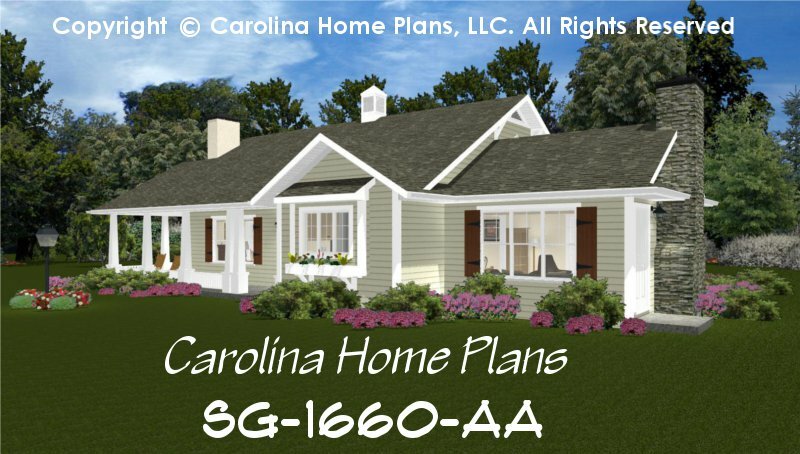 "MOM'S NOT SO LITTLE HOUSE"
Due to the overwhelming popularity of our small house plan SG-1016-AA and your many requests for similar styling and more options, we have provided more choices in this category. 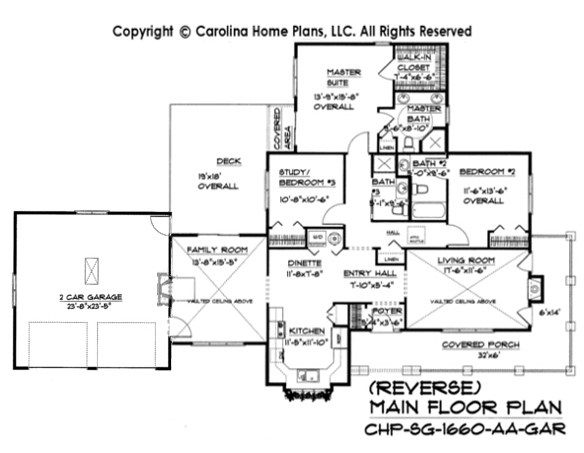 Ceiling Height 8', Liv Rm: 10'-6", Fam Rm: 11'-3"